A: 2 Candidates, Mechanical Engineer having minimum 5 years of experience in Fire Fighting system and approved from Abu Dhabi civil defense. 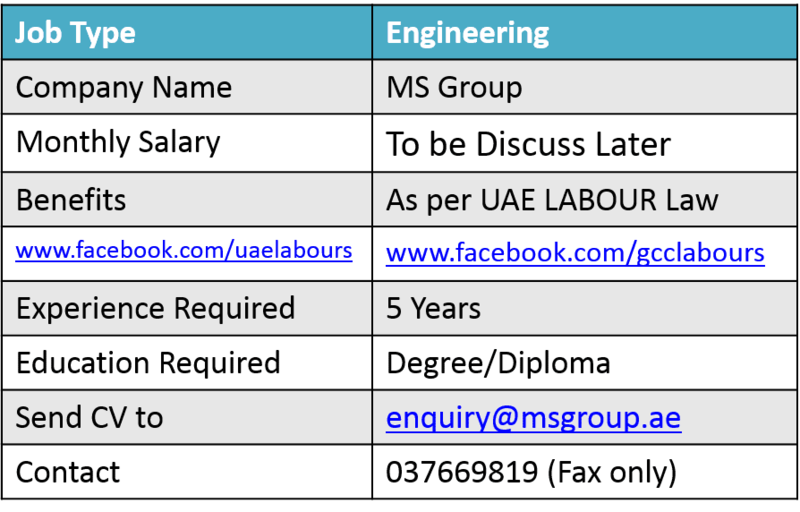 B: 2 Candidates, Electrical Engineer having minimum 5 years of experience in Fire Fighting system and approved from Abu Dhabi civil defense. 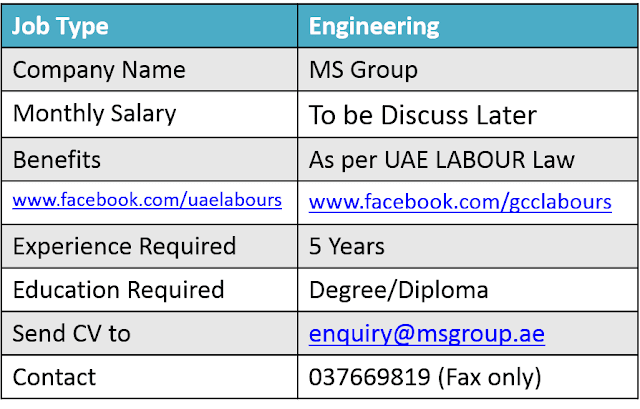 C: 4 Candidates, Mechanical Technicians having minimum 5 years of experience or 3 years of Experience with Diploma Certificate in Fire Fighting. D: 4 Candidates, Electrical Technicians having minimum 5 years of experience or 3 years of Experience with Diploma Certificate in Fire Fighting.